Salman Khan is all geared up to promote his upcoming Eid special movie Tubelight. He had always been a regular guest on ‘The Kapil Sharma Show’, who promoted his other super hit movies like Bajarangi, Sultan on the show. Salman was once a huge fan of the Kapil Sharma show. However, he has changed his mind and choose Sunil Grover over Kapil Sharma. Damn Cute: Misha Kapoor With Daddy Shahid and Mommy Mira Spotted At Airport! This show can change the fate of Sunil Grover, who will be seen on TV for the first time after having fight with Kapil Sharma. Interestingly, the show Super Night with Tubelight will air on Sony channel, which also hosts Kapil Sharma show. It can bring heaps of damage to Kapil Sharma show, which is already crawling on knees for TRP. Till now, Sunil Grover was busy with his Live shows and keeping us updated with his pics on Instagram. He is making his return on TV that too with his own show and it’s none other than Bajrangi Bhaijaan who is backing these talented actors. Also Read: Kapil Sharma Cancels The Shoot In 15 Minutes, Fails To Impress Audience! A short video of the promo is been released by SONY channel which confirms that Salman will not promote Tubelight movie on ‘The Kapil Sharma Show’. 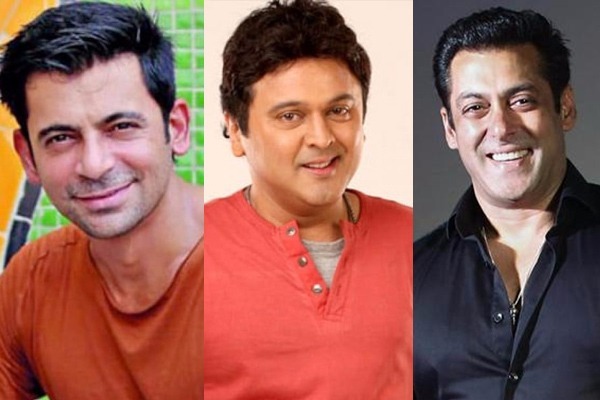 It is believed that Ali Asgar is a good friend with Bhaijaan and it could be the reason that Salman dropped Kapil Sharma over Sunil Grover. Whatever may be the reason, Salman not promoting his movie on Kapil Sharma will have negative impact with its already dropping TRPs. We all know for sure that Salman can go till any extent to help his friends. Who knows, this may change the fortune of Sunil Grover. Salman Khan starrer Tubelight is all set to hit the cinemas on the occasion of Eid on 25 June 2017. Previous : Damn Cute: Misha Kapoor With Daddy Shahid and Mommy Mira Spotted At Airport!